Individual T-cells indicated within a colorectal cancer tumour. The cells can be fluorescently marked then catalogued by a Flow Cytometer. At a special presentation luncheon in Dunedin’s Masonic Centre the Brethren there assembled with their guests and visitors were heartened to hear that, thanks to the generosity of the Otago and Southland Lodges and some big-hearted individuals, all of their fundraising work had paid off - and handsomely. In 2011 V.W.Bros John Steele and Les Brenssell officially launched a fundraising initiative, to members of ALL Masonic Lodges in Otago and Southland, to raise money for two oncology fellowships at the University of Otago. Their intention was to amass $135,000 (NZ$) over three years to finance two research students to further develop the University’s ground-breaking immunology programme that is looking to discover practical alternative therapies for certain types of cancer, especially cancer of the colon. (By a disturbing coincidence, and for reasons not fully understood, the Province of Southland has one of the highest colon cancer death rates in the world.) In just over one-year their original financial goal was well exceeded and, if the research proves a success, not only will the people of Southland benefit, but eventually the people of the world as a whole. The Dunedin School of Medicine’s Pathology Department has developed several new ‘vaccine-like’ therapies against, primarily, colorectal cancer and melanoma. Promisingly these may also be able to be used against other forms of the disease. 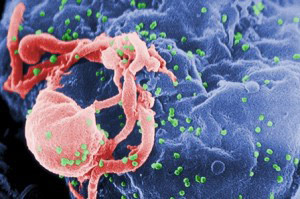 The vaccines trick the body’s immune system into thinking that the invading cancer is actually a virus. Thus fooled, the immune system then makes a “killer” response against the tumour and will also ‘remember’ the cancer and kill it again should it ever reoccur. One of these vaccines comprises a virus-like particle consisting of the outer-shell of a virus but without any genetic material present inside, meaning that the imitation virus is unable to replicate itself, making it safe for use on humans. 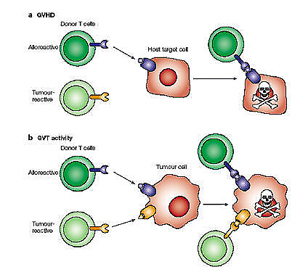 The Plan of Attack: Laboratory manipulated T cells besmear a cancer cell as being a virus, thus stimulating the body’s own immune system into killing it. 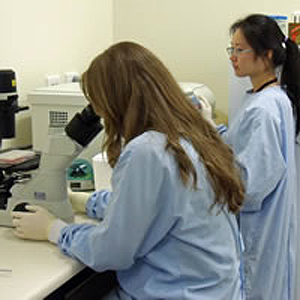 By January 2012, the Freemasons’ Fellowship Appeal Fund was able to donate $263,000 to the Pathology Department, enabling them to immediately finance two research students, one for doctoral studies into developing a cancer vaccine, and the other to investigate how T-cells (immune cells) can be turned into ‘cancer killers’. 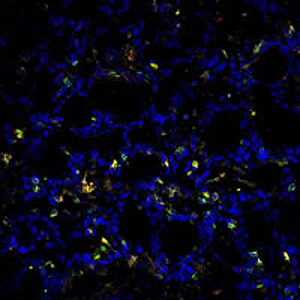 Cancer cells send signals to suppress the body’s natural defence response, and this response may be a double-edged sword to be manipulated against the disease. As the money had become available so swiftly it was decided to extend the fellowship programme from three to five years – another bonus for the Pathology Department. Early in the project, $10,000 donated by Lodge Wanaka No. 277 combined with an additional $3,400 released by the Southland Charitable Trust was used by the School of Medicine for the purchase of a much needed ‘cell counter’ to provide immediate assistance to speed up work in the laboratory. But the machine Dr Sarah Young, Director of the Medical Laboratory, thought she would have to wait years to acquire was a ‘flow cytometer’. 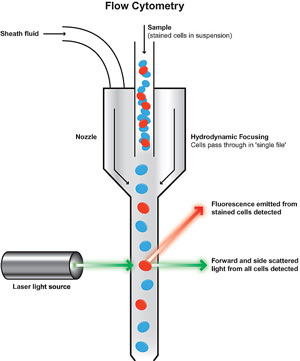 Laser-based flow cytometry uses the principles of light scattering, light excitation, and emission of flurochrome molecules to generate specific multi-parameter data from particles and cells. 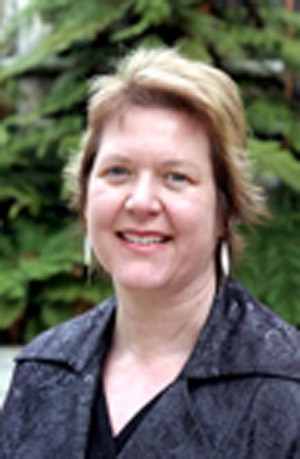 Dr Sarah Young expressed her gratitude for all that the Freemasons had done to help advance cancer immunology research. 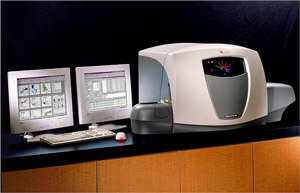 A flow cytometer is also accurate enough to measure the fluorescence of single cells or particles. This sophisticated device is now routinely used in diagnosis being able, at very high-speed, to measure, sort and identify the microscopic cells as to their type - a vital function when the doctors are trying to quickly identify cancer cells from T-cells. Coming with a hefty 100,000+ dollar price tag, Dr Young thought a flow cytometer beyond the school’s reach, but a further partnership between The Freemasons’ Charity and the Roskill Foundation yielded $70,000 toward its cost, while other funding has secured its purchase. On the day Dr Young was surprised and delighted when she was presented with two cheques, one from RWBro Terry McConnell, Superintendent of the Freemasons’ Charity and another from MWBro. David Mace, Chairman of the Freemasons’ Roskill Foundation, each cheque being for 35,000 dollars. This Beckman Coulter FC 500 Flow Cytometer can calculate the parameters of about 500 cells per second. Dr Young is now convinced that her department is getting close to perfecting alternative anti-cancer treatments through the development of therapies that stimulate a much stronger immune response in the human body. She expects clinical trials to begin in three years. In an ironic twist of fate, within the last two years both John Steele and Les Brenssell have been diagnosed as having prostate cancer, however, far from being downhearted and possibly to underline the calibre of these men, they have offered themselves as human guinea pigs for any clinical trials. Inside a Flow Cytometer: Hydrodynamic focusing allows a laser to highlight and express information on single cells as they flow past its lens. In spite of all the advantages of state-of-the-art equipment, cancer research development still relies heavily on the Mark 1 Eyeball and agile young minds. Together with her team; comprising Fellowship recipients Dr Braeden Donaldson and Dr Melanie Grant, and research students Kunyu Li, Simon Pelham and Estelle Peyroux, Sarah Young thanked all those present, explaining that without the financial assistance and support that Freemasons have given, and are still giving, toward the Fellowship, her team’s research into ‘immunotherapy’ as an alternative form of cancer treatment would be a much longer, and far rockier, road to tread for all those involved.